For all intents and purposes, the URB-E isn’t the kind of product that you look at and think it’s a must-have. I mean, it looks goofy. 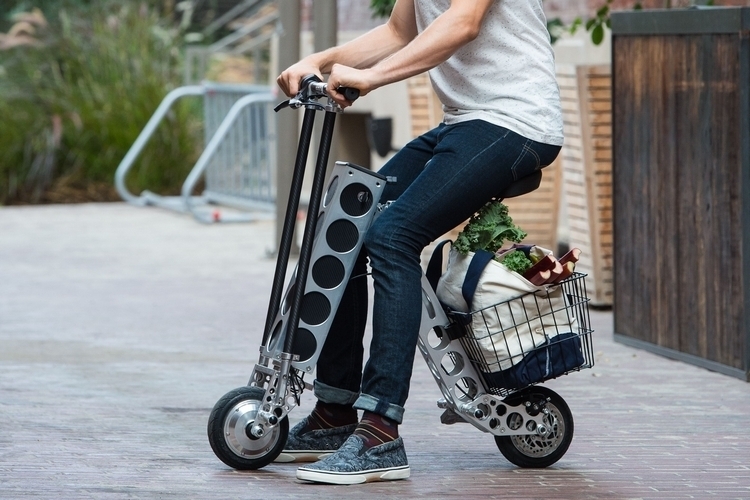 With an e-bike function that lets you ride it around and a folding design that lets you drag it anywhere, though, it just might be the personal transport device you’ve wanted all along. I mean, it looks better than a hoverboard. 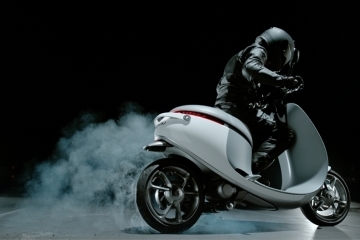 Described as a folding electric scooter, you can ride it while comfortably sitting down at speeds of up to 15 mph. 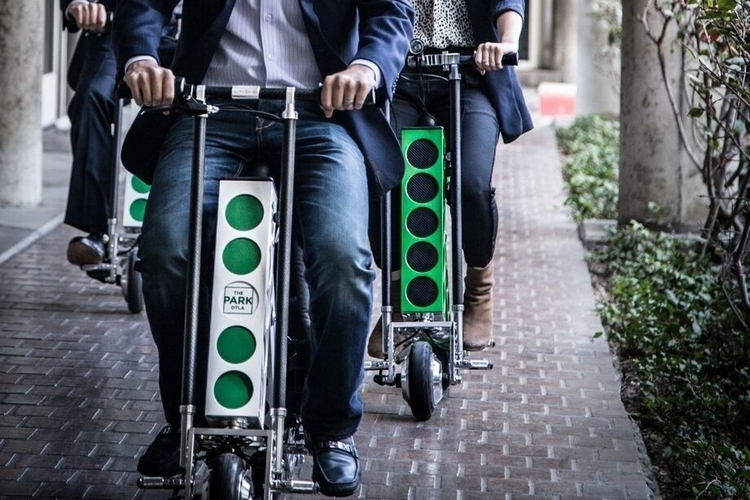 It’s got decent range, too, letting you cover up to 20 miles with a full charge, making it a viable alternative for daily commutes to and from the office (unless you work in another city, in which case, take the car). 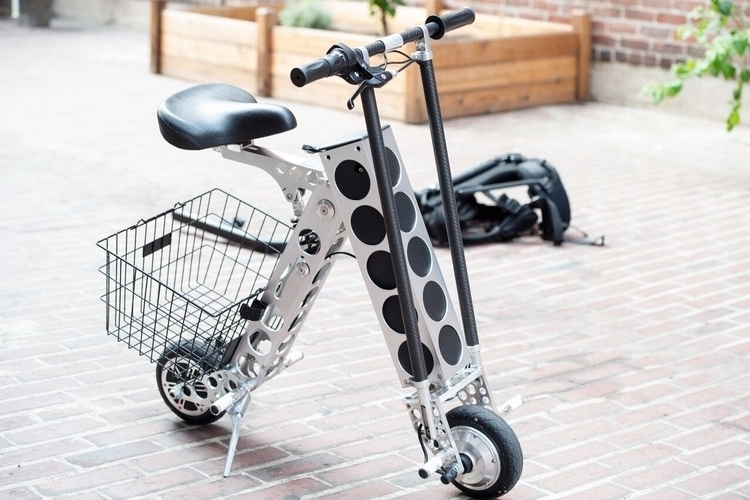 And since it folds, you can bring it inside the office, allowing you to charge it at work (takes just four hours from zero to full), so you can ride it all the way back to the house after clocking out. 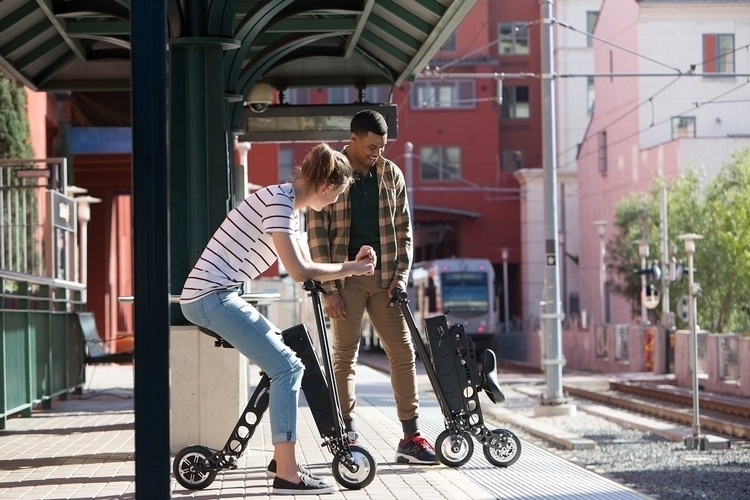 When folded, the URB-E is compact enough to either drag behind you (like luggage) or carry by hand, with its 35-pound frame allowing you to do so without requiring superhuman strength. You can also throw it in the trunk of the car when folded, apart from fitting comfortably in a corner of a train or bus during commutes. Features include carbon fiber and aluminum construction, a 250-watt brushless motor, optional sport-tuned controller for increased torque and acceleration, and cross-drilled disc brake for guaranteed stopping power. They also sell a selection of accessories, including cup holders, phone mounts, baskets, and more. 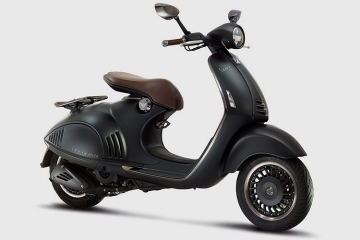 Available now, the URB-E is priced at $1,699. It is made in the United States. You rarely see mechanized scooters anymore that are American made. They could have made this much cheaper in China, but it looks like quality is of the utmost importance to these guys, and I can respect that. If you weigh more than 250 pounds with your cargo, then this is not for you.Keep in mind that even if you are under 250 pounds, the lighter you are then the more distance you can get out of this. 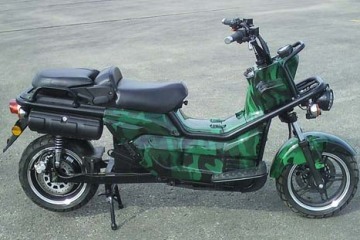 Yes it is ugly, but when you combine the range of this scooter with its ability to easily fold up, then you have a winning product. 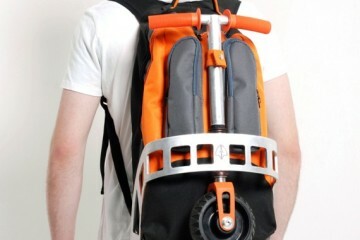 Something like this will be a much better investment then one of those cheap China-made scooters. I know it may look a bit on the strange side, but I can actually picture myself riding around on this. I haven’t had much luck when it comes to vehicles so this could potentially be the best bet for someone like myself. Asking for a ride each time I want to shop isn’t exactly something I enjoy doing so I typically carry all my groceries. Tried using a wagon for a bit but it was so bulky and awkward. 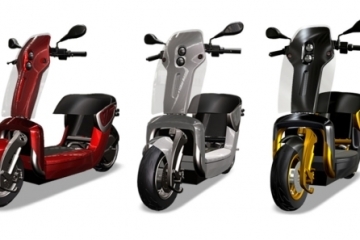 This could really help me get around town (nowhere I need to go is that far away) and back home more than once on a single charge. 15mph is not a bad speed at all. The little kick stand really cracks me up!